From the Thames to the Seine, the most famous rivers, lakes and creeks have been sailed by foodies for decades, but few of these cities can boast a single cruise which has become as much of an institution as the concept itself. 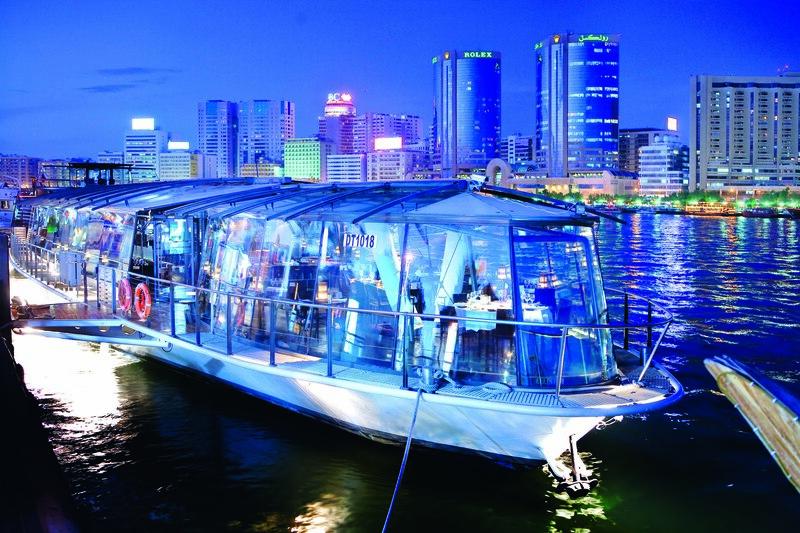 Dubai is no stranger to dining in style – nor doing so while cruising alongside its miles of waterfront skyline – and there is a fair share of dinner cruise experiences to choose from. But only Bateaux Dubai is has been feeding and ferrying 200 foodies a night, every night for 11 years and playing host to dignitaries, wedding parties, celebrities, tourists and residents alike. 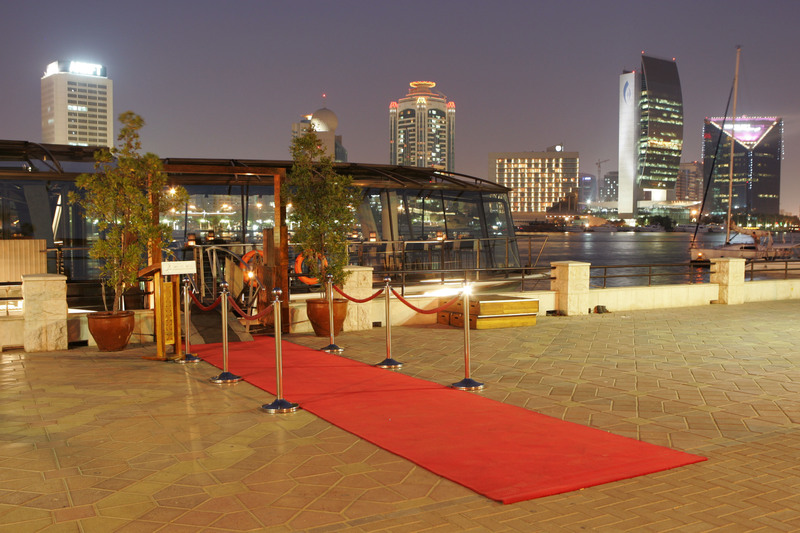 Created by Seine Design in France in 2003, it is the only dinner cruise experience in Dubai to feature its own onboard kitchen, where chefs prepare a four-course à la carte menu for each guest from only sustainably produced ingredients. Diners also have the option to pair their gourmet food with any one of 70 varieties of grapes from 10 countries. The experience begins with welcome canapes and a mocktail, as alcohol is only served after departure from the Creekside. Flavours are delicately balanced and staff are informative and helpful, explaining as much or as little as each guest requires. What is easy to forget from your waterside seat, is that Bateaux isn’t a cruise that happens to serve food. It’s a restaurant that happens to sail its guests along 14km of coastline over two and a half hours. So when presented with an extensive menu don’t think that asking for a recommendation will narrow the choice because at least half of the starters, main courses and desserts, are classed as “signature dishes”. The food is text book gourmet – indulgent and satiating – but without the glut, as the timing between courses has been perfected over Bateaux’s history. The beauty of this dining experience is that there is no turn over, no second service, you are their guest for the evening. Settling on starters of Alaskan king crab and sous vide cooked free-range chicken the experience begins. The service onboard Bateaux is considerate; not only are staff happy to explain dishes and take note of preferences and allergies, but they let you know how long it will be until the next dish is served so you can take in the top deck views. Continuing the land and see approach to the next course, we opt for Scottish salmon, served on pureed potatoes and drizzled with a green bean emulsion, which offsets the flavours perfectly. A large prawn and cream tortellini sits atop the mammoth salmon steak and creates quite a work of art. On the other side of the table, Australian black Angus tenderloin; a dish that seems to be cooked to perfection at every restaurant operated by JA Hotels and Resorts is served exactly as ordered and offset with braised beetroot, goat’s cheese ravioli and truffle jus. The selection of dessert caters to those looking for both blow out indulgence, fresh cut fruits or a mix of the two and there is time afterwards to enjoy the last 40 minutes or so of the cruise, either from the table or top deck, rounding off a dinner experience that may have many imitators, but no rivals.